Pastoral,Taconic and Catskill Mountain views. There are two restored 4 bedroom antique houses (1850), over 20,000 sq.ft. of antique pegged post & beam as well as modern barns, three ponds, and over 120 acres of mature woods with trails. Ancram, a rural and protected town, is comprised of undulating fields and woods drained by the fabled Roeliff Jansen Kill as it meanders to the Hudson River. Astride both sides of this river and connected by a bridge, Epiphany Farm affords 547 storybook acres with pastoral Taconic and Catskill Mountain views. There are two restored 4 bedroom antique houses (1850), over 20,000 sq.ft. of antique pegged post & beam as well as modern barns, three ponds, and over 120 acres of mature woods with trails. This working farm has superior soils and it affords numerous potential house-sites with exceptional views and privacy. 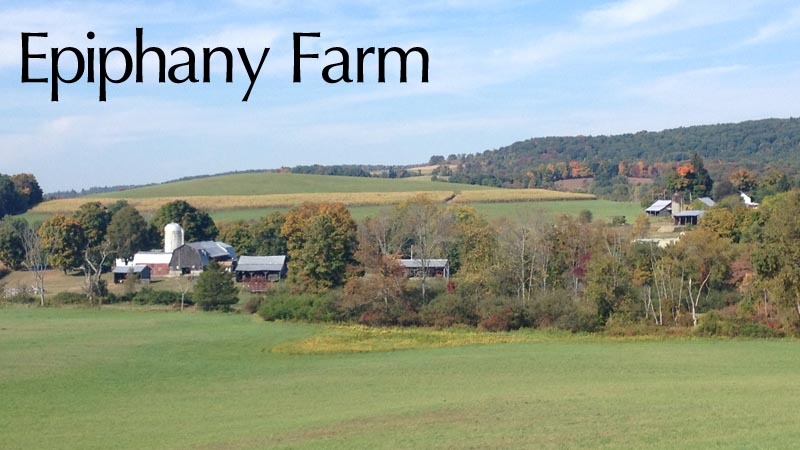 Epiphany Farm is in the provenance of the Livingston, Silvernail, and Rockefeller families. Rarely does a property of this magical scale and diversity come to market. Moreover, more land is available. Yet it has frontage on three country roads and is handy to Millerton, Hudson, the Taconic Parkway, skiing and the train.